Mood Disorder - Manage Your Mood Naturally - Go Out and Exercise! Manage Your Mood Naturally: Go Out and Exercise! The two most common mood disorders that people suffer from are depression and anxiety. What makes mood disorder unique from other mental illnesses is that it is quite difficult to diagnose, and not everyone understands it. In the case of depression, most people would just dismiss it as a simple case of having the blues. But it’s not. It’s a feeling of intense sadness that lasts anywhere from six months to years. Some sufferers don’t even realize that they have the disorder and could have been suffering from it most of their lives. Anxiety, on the other hand, would be attributed to just too much worrying when it can be a case of obsessive-compulsive disorder, agoraphobia, social anxiety disorder, etc. Studies show that mood is greatly affected by a number of chemicals or neurotransmitters being produced by the neurons in the brain. Normally, an individual has a balanced amount of these chemicals, allowing for full control of one’s mood. But in some cases, these chemicals aren’t as balanced as they should be. Some people have neurons that produce more than the amount of the chemicals needed to control mood, while some have less. This leads to uncontrollable and irrational mood swings. Usually, medical intervention is sought if the person or others realize that the mood swings are far from normal. In most cases, people suffering from anxiety symptoms or depressive moods are given medication to help normalize the amount of chemicals being produced in their brains. Along with that, certain therapeutic exercises may also be recommended. Some though become depressed even more if they become dependent on therapy or medications. They want to participate in their own treatment. Well, that can be done. Recent studies have found a lot of ways where you can complement your medication and lessen your dependence on them. Home remedies for depression and mood disorders are now gaining popularity as alternative ways to help control the disorder. You can take back your life and manage your mood disorder naturally. One effective way to do that is through exercise. Doctors agree that an unhealthy lifestyle does influence one’s mood, and a depressive mood also affects one’s lifestyle. These two are interdependent. A depressed individual usually does not have enough energy to get off of bed and do things. He or she would resort to unhealthy eating, or maybe not eating on time. There are some who will spend the whole day sleeping, or cannot sleep at all. In other words, sufferers often do not have any form of routine. Some report to thinking that waking up is no use as they don’t really feel like doing anything throughout the day. If you are feeling that way, a change in lifestyle can be done in conquering the disorder. 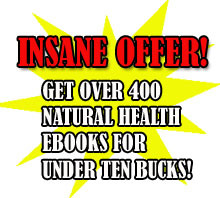 This is one of the most recommended natural ways of treating the disorder. And the easiest way you can start is by exercising. First, it sets you up for a daily routine. You can create a daily schedule that starts with exercise. A 30-minute exercise per day can do wonders for your mood. It doesn’t really matter what type of exercise it is as long as you get up and do it. Maybe you can start with brisk walking around your neighborhood. Fresh air and the morning sunlight can help lighten your mood. If you’re not a morning person, you can walk your dog, jog around the corner, or take a bike ride in the evening. Second advantage of exercise is that the movement of your body helps in better blood circulation. And third is that research has proven that exercise helps the brain produce more “happy” chemicals, which make you generally feel good. Exercise is not the only solution though. It’s just one of many. Don’t stop there; start there instead. Slowly but surely and consistently work your way towards a healthier lifestyle. Eventually, you’ll see the results. In time, you’ll be able to take control of your life and manage your mood disorder successfully. 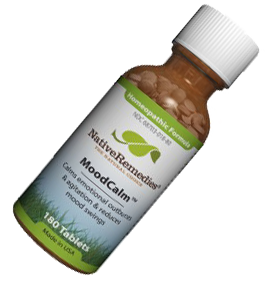 MoodCalm – CLICK THE BOTTLE!!!!! About the Author: Ryan Rivera also suffered from anxiety symptoms that medicine was unable to treat. Now he helps others looking for anxiety related information at www.calmclinic.com. Ryan Rivera suffered from anxiety symptoms that medicine was unable to treat. Now he helps others looking for anxiety related information by writing about it.